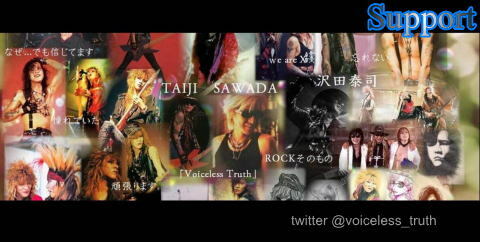 TAIJI, who debuted as a bassist for X and actively performed in many bands, died in Saipan on July 17, 2011. His obituary was reported in Japan, inviting the sorrow of many fans. Since then, however, an inexplicable situation with regard to the details and circumstances of the incident, including the cause of his death, has become apparent. TAIJI was arrested, kept in custody, and then taken to a hospital from the detention center after he was found unconscious there. Nevertheless, both the Saipan police and the FBI have not made any official announcements at all about the details of the incident. Furthermore, it became apparent from the death report that an autopsy had not been conducted. This information was transmitted for the first time to TAIJI’s family and the Japanese public on the 15th of July four days after the incident. What happened during these four days? Later, it was learned that the corpse became bloated and decomposed due to the air pressure in the aircraft, and an autopsy, therefore, had not been conducted. What was on TAIJI’s mind, and what had he tried to convey after the incident? Even this question remains unanswered under the current circumstances. In addition to these developments after the incident, there are international issues involved here, including whether legal proceedings were properly conducted in Saipan, why the incident has not been publicized at all, and whether the corpse has been properly treated. Ms. Akatsuka, TAIJI’s common-law wife, who wants to clarify the facts for TAIJI’s memorial services, has flown to Saipan by herself ever since the incident occurred. She has also been collecting individual records at the time from various institutions in Saipan and continues to conduct activities toward clarifying the facts. She received a reply from the hospital where TAIJI was receiving life-saving treatment. They said that they lost his clinical records. 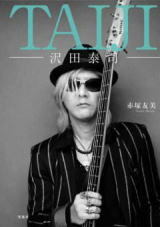 On the 4th anniversary of TAIJI's death on July 17, 2015, Ms. Tomomi Akatsuka published her book titled "TAIJI - TAIJI SAWADA" (by TAKARAJIMASHA,Inc.). She commented "I will continue to raise his issues. It's not only to protect TAIJI's dignity but to prevent similar incidents from being repeated in the future international society. Copyright©THE VOICELESS TRUTH All Rights Reserved.